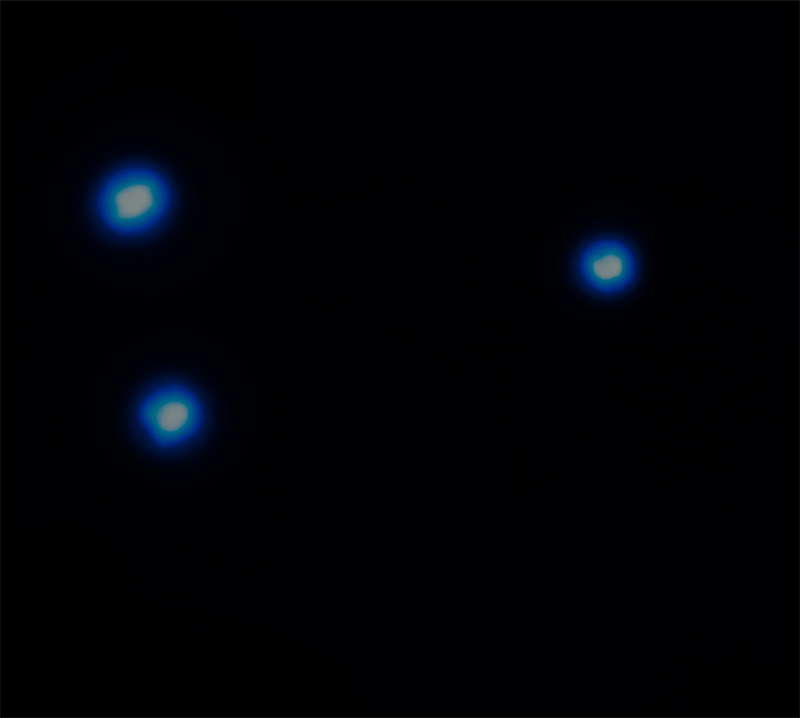 Scale Image is 9.25 arcsec (About 215,000 light years, assuming distance is 12.2 billion light years) across. 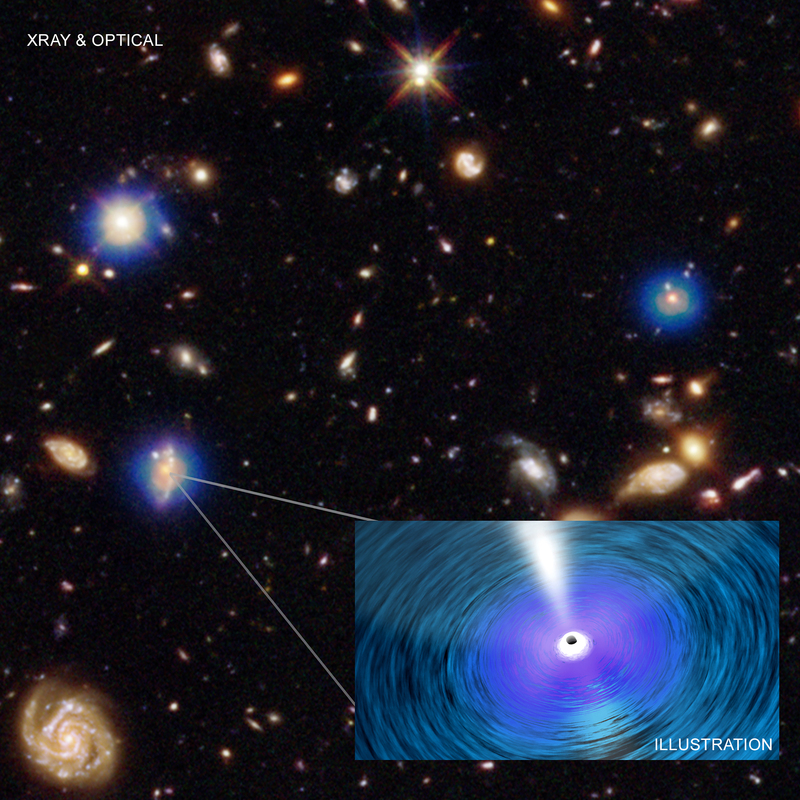 Black holes in the deepest image ever obtained in X-rays. Between 4.3 - 12.2 billion light years away. 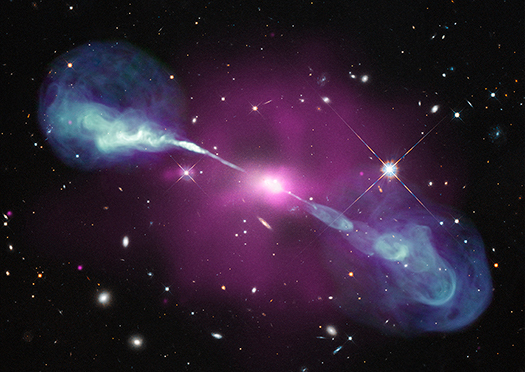 X-rays from the Chandra X-ray Observatory and optical/infrared light from other telescopes. The image is about 215,000 light years across, assuming distance is 12.2 billion light years. X-rays are blue. Infrared is red and green. Optical is green and blue.